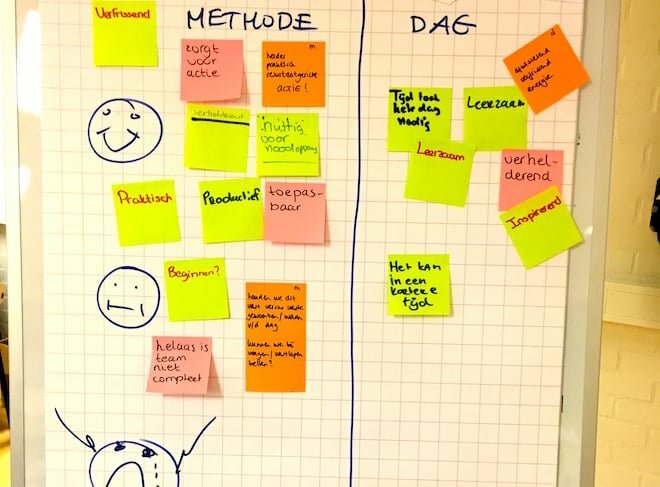 The communication department of the municipality of Oldambt wonders if they can use Scrum to distribute their work and share knowledge in the team. In a one-day workshop, the team is introduced to the principles of Scrum and practices by applying these to their own projects. Throughout the day a variety of scrum techniques and tools are reviewed: from short cycle teamwork to retrospectives and the iceberg to the definition of done. Three months later, during a refresher session of half a day, experiences are discussed and new members inducted.